Mum knows best, or so the saying goes. But one parenting expert says mums should let dads have more of a say in parenting, especially when it comes to their sons. In a new book, author Noël Janis-Norton says mums can be too possessive, to the detriment of their sons. She says men have a much bigger influence than women on boys becoming well-adjusted adults, but mums find it hard to back off and let dads take the reins. She says a strong father-figure – which could be a stepfather, grandfather or uncle – is vital to boys learning how to handle their emotions and physical strength, and how to respect others and themselves. 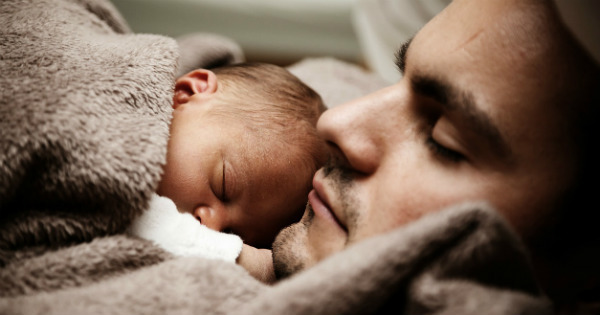 The behavioural specialist says mums should allow dads to find their own parenting style – and that includes letting them do things differently to how they would do them. Janis-Norton, who recently released her book Calmer, Easier, Happier Boys, says mums often assume they know best, but “we’re not doing it right all the time”. She says even in families where both parents work long hours outside the home, children are more likely to spend more time with their mothers. “That’s not a problem for a girl – but for a boy it is. Because the genetically preprogrammed urge is for boys to copy their fathers. And it’s hard for a boy to do that when he doesn’t spend enough time with Dad,” she tells the Daily Mail. She cites play-fighting as one important area of development that dads are more inclined to take on. “(Boys) learn how to control themselves, they learn how not to be too rough – and they also learn how to make amends if it does go too far,” she says. But while mums sometimes need to take a step back, it’s also up to dads to actively forge a better father-son relationship. “The less involved a father is, the less confident he will feel and the less confident he feels, the less involved he will want to be,” she says.